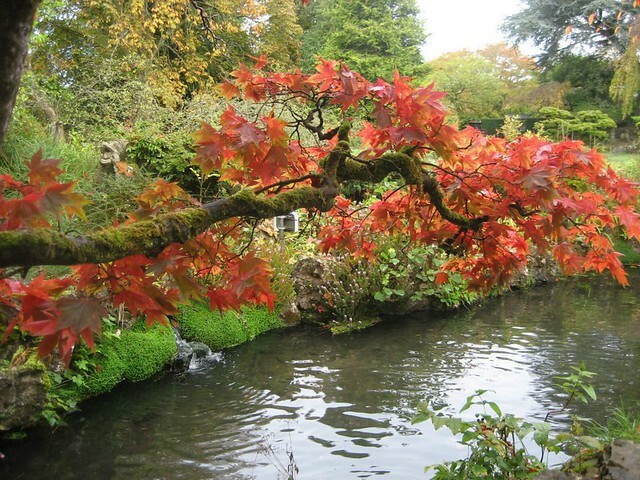 One of the most pleasant days out we had as a family, in the autumn, was a trip to the Japanese Gardens in Co. Kildare, Ireland. Kildare is the county neighbouring the big Dublin city area and it’s the perfect place to explore at the week- end if you want a short break from the busy shopping streets of the centre of town. Unlike the west or Ireland, which offers rugged coastlines, wide beaches and birds screaming in the Ocean winds, Kildare has a serene, pristine kind of landscape: it’s an area we often visit with kids and one I would definitely recommend to visitors looking for a pleasant day out in nature within easy reach from Dublin. They are part of a bigger complex that also hosts the National Stud farm, St. Fiachra’s Garden and a horse museum but are famous in their own right. 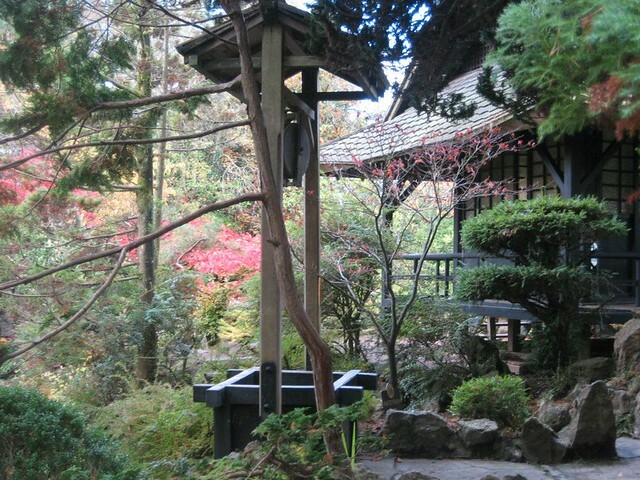 They were devised by a Scotsman, Colonel William Hall Walker, but they were brought to life by Japanese master horticulturist Tassa Eida and his son Minoru between 1906 and 1910. Following the traditional Japanese art of landscape design, the gardens are laid out so that every plant, stream and path come together to bring the visitor through a symbolic path of philosophical discovery. 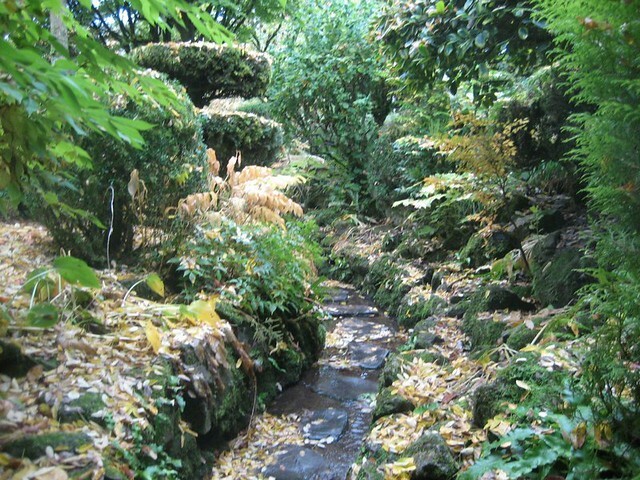 In this case, in the intentions of the creators, the gardens follow the ‘life of man’ and, walking along its trails, you will touch on all the milestones that bring a soul ‘from oblivion to eternity’: you will start from the cave of birth, pass through the tunnel of ignorance and finally get to Garden of peace and contentment. When I read this description, before we actually got to the gardens, I got equally intrigued and worried. I know that the architecture of Japanese gardens always follows philosophical meanings, and this is one of the elements that makes me love them so much. However, since we were about to visit them with the children, I worried this more meaningful aspect could be overpowering and might make the visit frustrating for us and plain boring for the kids. Thankfully, my worries were misplaced: the meaning behind the garden can still be grasped by the adults while walking around holding hands with little people and the kids liked being outdoors, surrounded by such beautiful colours, oblivious of the life questions running circles in their parents minds. 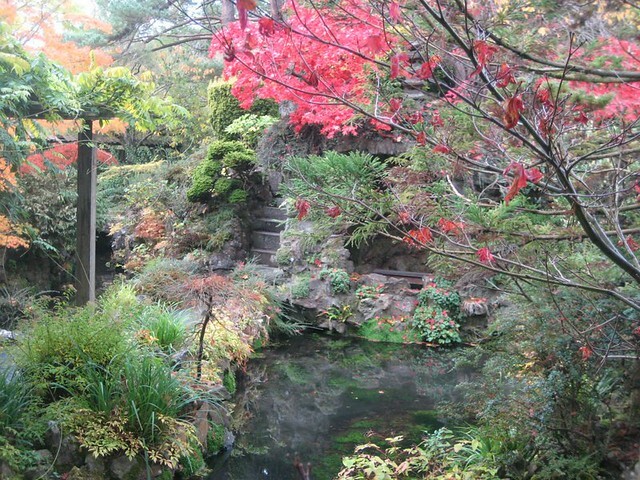 We got to the gardens on a crisp October morning, one of the best times of the year to visit. Ireland is generous with autumnal colours everywhere, but the mix of yellow, red and green leaves at the Japanese Gardens is truly something special: the vibrancy of the colours is incredible and the soft carpet of fallen leaves made for great child entertainment. Just a word of warning: if you do go in the autumn, wear good shoes because it does get VERY slippery! When you first arrive at the gardens you are welcomed in the modern visitors centre: here is where you get your tickets and where all facilities are located, including a nice cafe’ selling drinks, sandwiches and cakes. 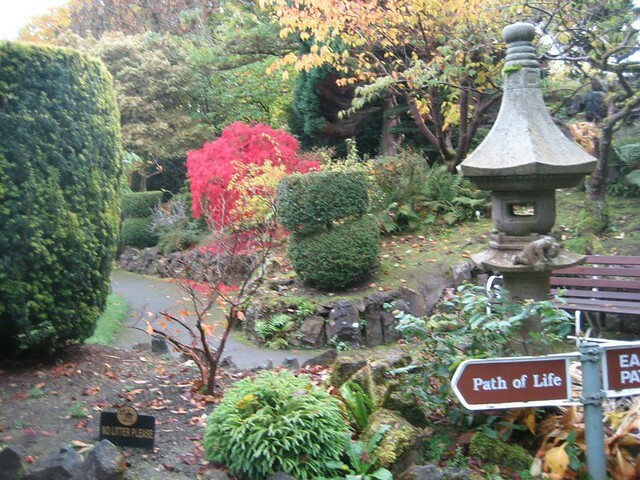 The visitors centre is also where families with young children must leave their buggies and strollers: while the rest of the estate is easily accessible even with wheels, the Japanese gardens are, by nature, not stroller friendly. We did not know this when we arrived, but I had my loyal ergo baby in the buggy and so was able to embark on the path of life with my little daughter in tow. 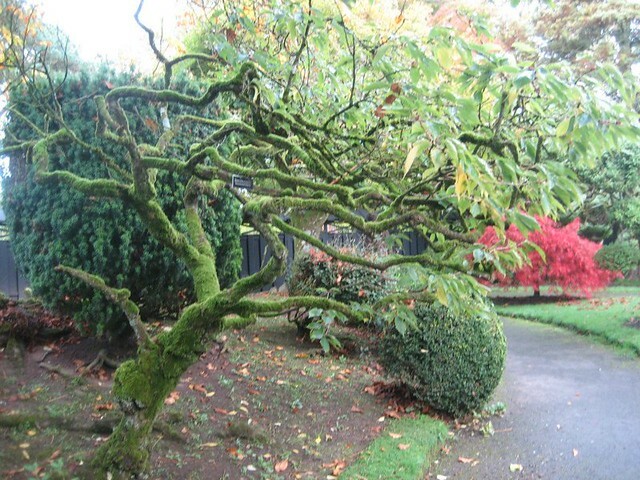 Do you like Japanese gardens and would you consider a visit, even is so far away from their land of origin? Please note: this review is unsolicited and unbiased and we received no compensation for it.